Nicole Stanton is part of the Real Estate and Commercial Litigation practice groups. She is currently focused on expanding the land use and zoning services provided by Quarles & Brady. 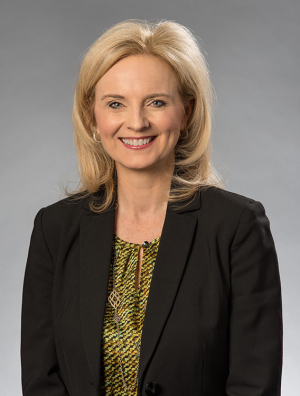 Nicole spent five years as the managing partner in the Phoenix office, while simultaneously serving as the firm's national associate general counsel (AGC). The responsibilities she undertakes as AGC, functioning simultaneously as inside and outside counsel, reflects an ability to see all sides of the matters on which she works, from both the client's and the advocate's perspectives. Her client list encompasses diverse industries and needs. Her unique perspective facilitates both approaches and solutions that best serve her client's interests. In short, she has sat in the same chair as many of her clients. Nicole has served as defense counsel for several local and national law firms, as well as Quarles & Brady, along with representing accounting firms, financial institutions, and insurance brokers, but she also has handled cases involving real estate, tribal land disputes, breaches of contract, and even horses. Nicole is a dispute resolver whose priorities lie with pragmatic outcomes and their benefits for her clients. On the land use and zoning front, her clients benefit from Nicole's extensive development and political networks in communities throughout Arizona. She has worked on obtaining governmental approvals for rezoning cases, use permits, stipulation modifications, variances, parking reductions, and other various administrative cases. Nicole is also highly invested in the Phoenix community, not only as the former First Lady of Phoenix but as a committed civic servant in her own right. She has spearheaded a statewide anti-bullying initiative called Stop Bullying AZ (now the Dion Initiative), teaches professional responsibility courses at Arizona State University, has served on many nonprofit boards, and has received several awards for her business and community service activities. Award Recipient, The Business Journal's Class of 2005 "Forty Under 40"